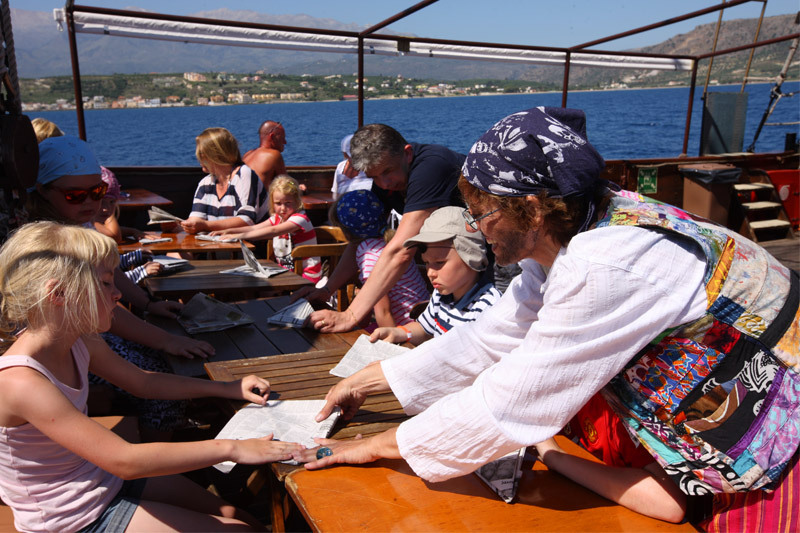 The lovely pirate ship, the stunning view of the coastline and the warm hospitality of our crew dressed in pirate costumes will make you feel like you are traveling in another era! 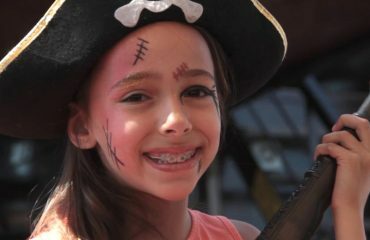 All about the One Day Pirate Cruise. 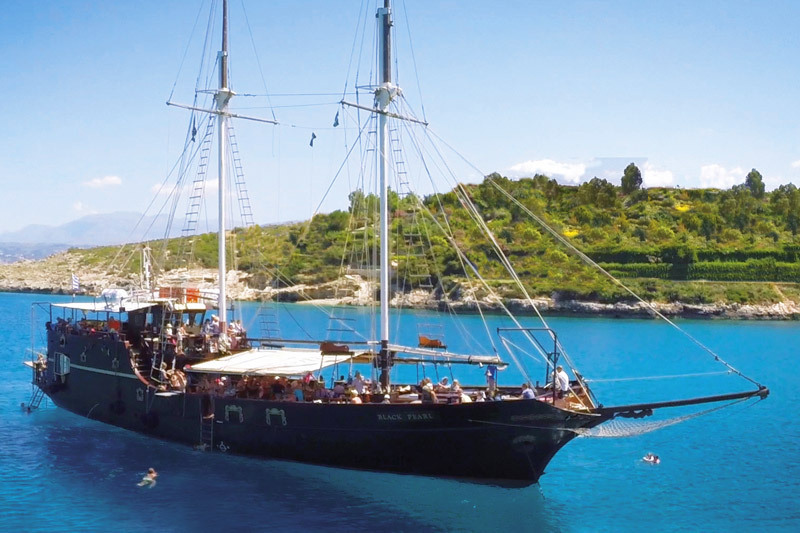 The Black Pearl ship will take you on a trip around Souda Bay, giving you a chance to enjoy three of the most beautiful beaches in the area, marvel at the surrounding views of the gulf and make you and your kids feel like real pirates! 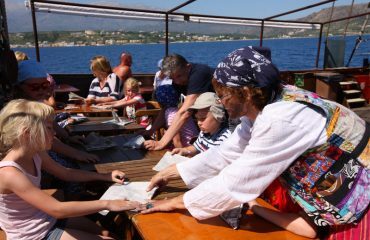 Our pirate ship departs at 10am and heads to the southern part of Souda bay. The scenic bay of Souda is a wind-protected, lovely natural harbor and a place of great strategic importance. Enjoy the lovely view of the coastline and the hill of Kalami, with the historic Turkish Intzedin Fortress, which was built in 1870 and took its name from the first born son of the Sultan. 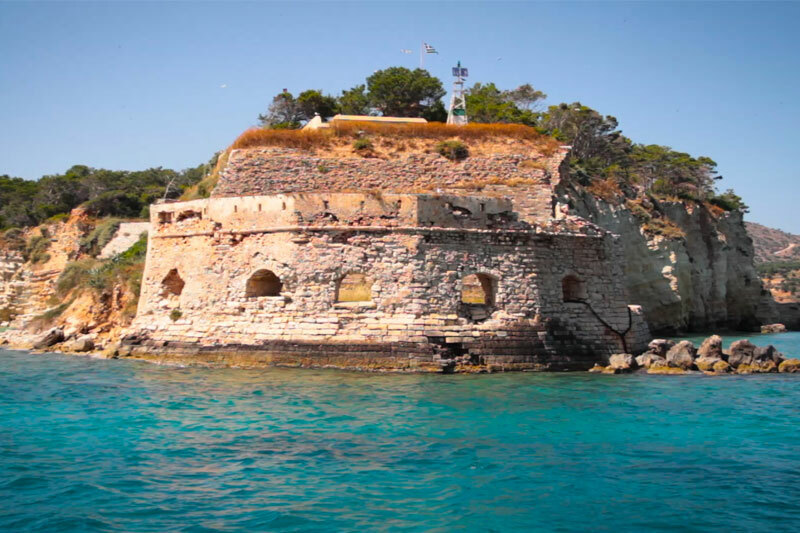 Overviews of the ancient 8th century city of Aptera will accompany you until you reach one of the best beaches of Chania area, Almyrida, situated in the southeastern side of the bay. 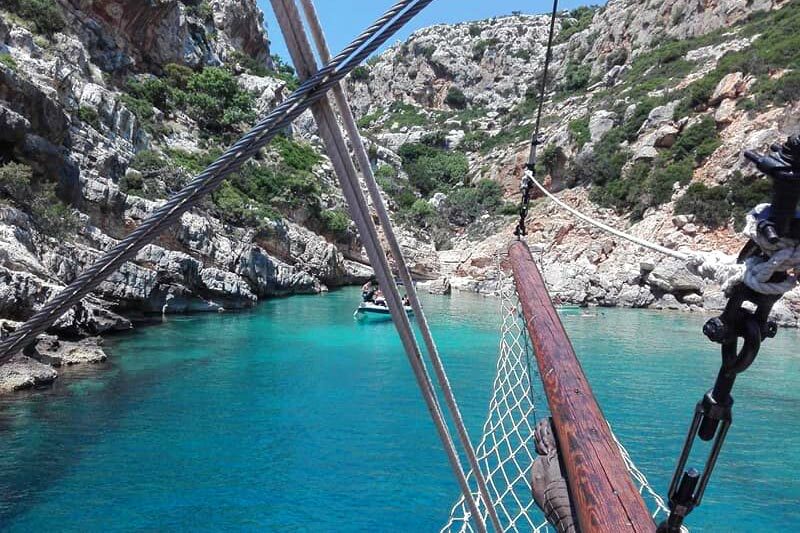 The ship will approach the beach in about one hour and shall moor nearby, giving you the chance to swim in the turquoise blue waters. With the mountains of the Apokorona peninsula dominating over the bay, many spots offer breathtaking view. After our stop at Almyrida, the trip continues to Marathi, or ancient Minoa, which was one of the two ports of ancient Aptera. 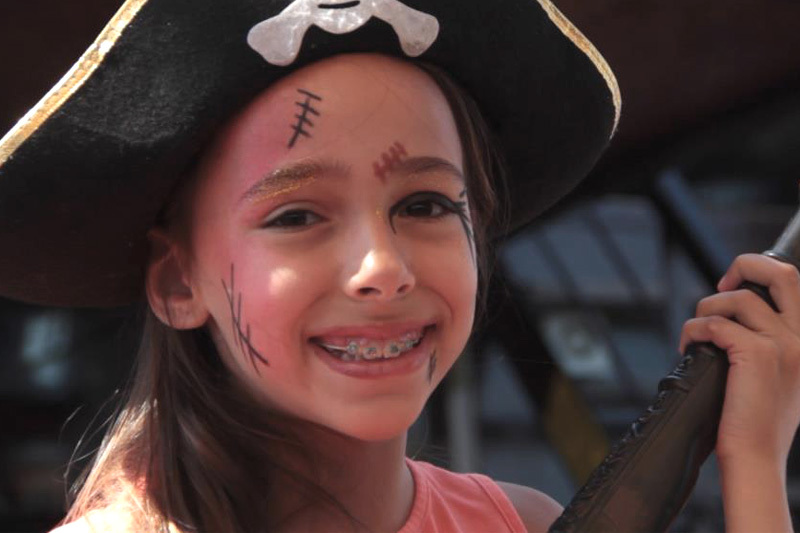 On the ship’s open decks, your children will enjoy our special animation program, and will have the chance to experience a magical pirate adventure by participating in various games, such as a treasure hunt, water gun fights, face painting and more. The lovely pirate ship, the stunning view of the coastline and the warm hospitality of our crew, dressed in pirate costumes, will make you feel you are traveling in another era. 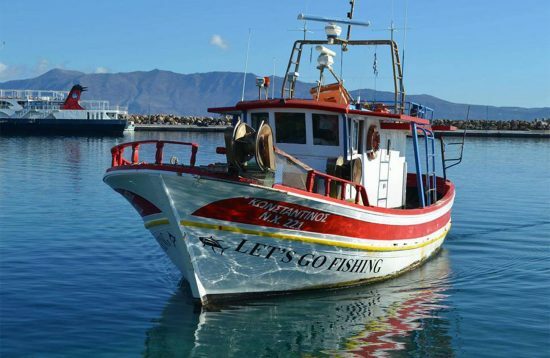 The ship shall continue towards the northwestern part of the bay, giving you the chance to see the steep cliffs of the Akrotiri peninsula that form many lovely beaches such as Marathi and Loutraki. 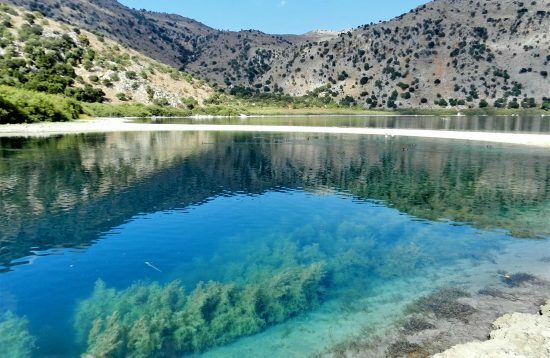 Our next destination is the picturesque Loutraki, situated in the southeastern part of the Akrotiri peninsula, a secluded bay surrounded by rocky cliffs. 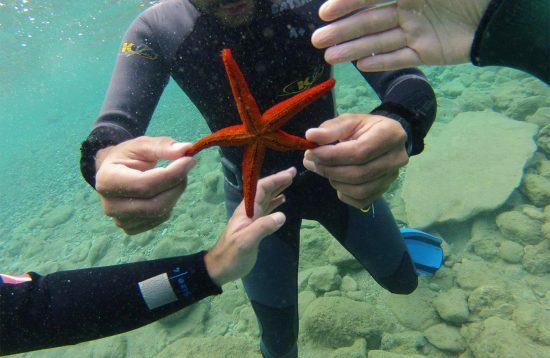 The ship will anchor off the bay, giving you the chance to swim in the crystal clear waters. 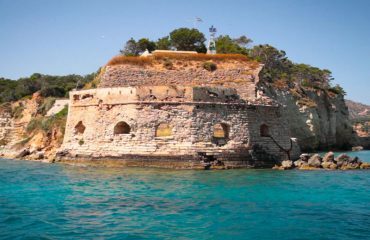 Our trip shall continue near the islets situated in the bay of Souda, the islet of Souda that guards the port, and another almost round nearby, indicated in old Venetian maps as “Rabbit Island”. After this exciting fun day at sea, we shall return to the port of Souda around 17.00. 10am departure from Souda Port. For your convenience make sure you will be at the port at least 30min before departure in order to park your car and exchange your voucher for your boarding passes. 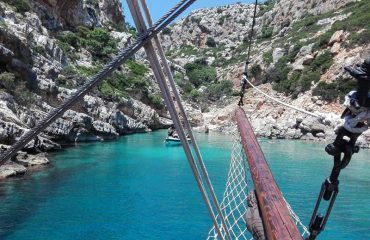 A stop to Almyrida Bay to swim in the crystal clear water from the boat. 2 hours free time to swim and have lunch at Marathi Beach, a wind-protected beach ideal for families with young children. 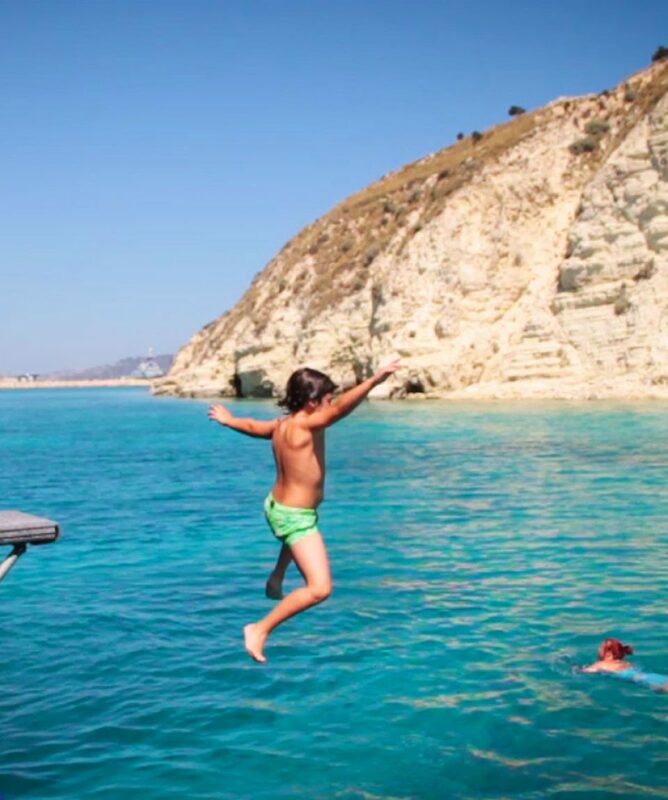 Our last stop for a swim from the boat is Loutraki, a secluded bay surrounded by rocky cliffs. 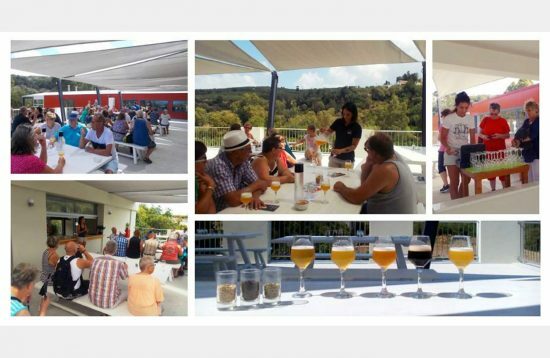 You will be back at Souda port by 17:00 with the memory of a unique pirate experience.